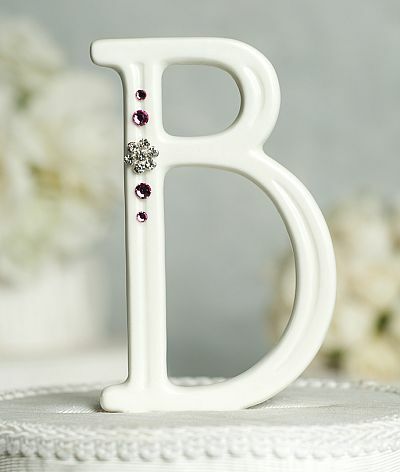 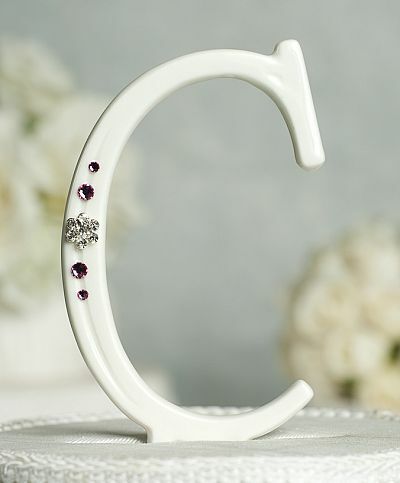 This beautiful initial monogram wedding cake topper features crisp and clean font that is accented with a swarovski crystal florette and small swarovski crystals that come in multiple colors framing it. This monogram fits as a perfect accent to crown the top of your wedding cake. 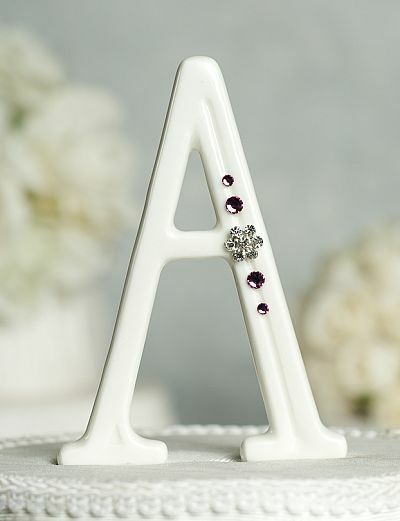 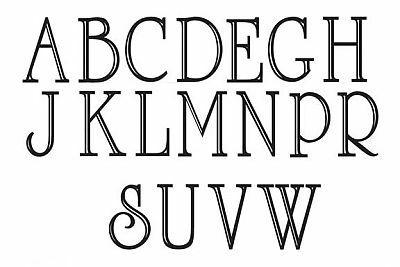 The monograms are made of fine porcelain and are finished with a soft glaze that is smooth to the touch. 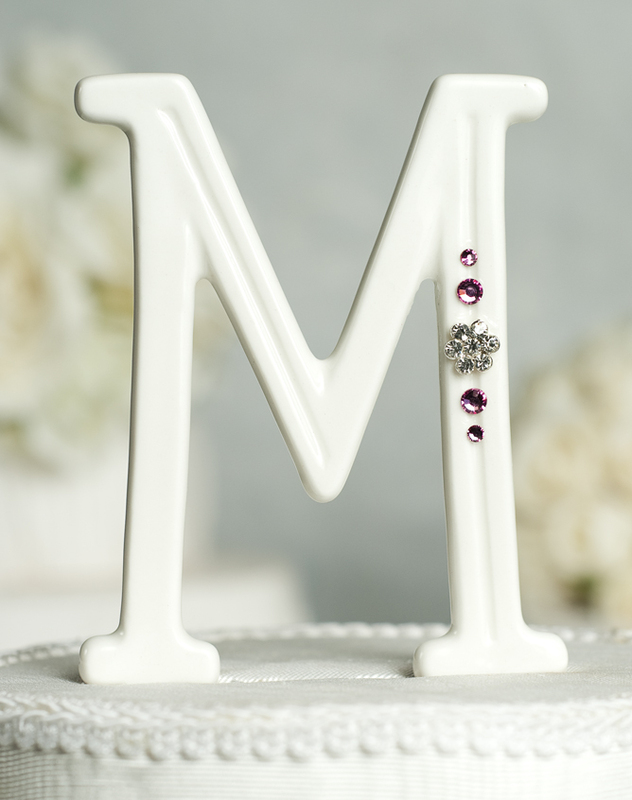 It is inserted into the cake with the prongs that are 2 1/2 inches long. 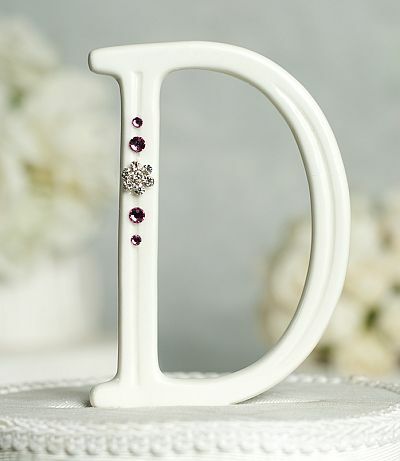 Your porcelain monogram makes the perfect wedding memento since it lasts forever and never tarnishes.